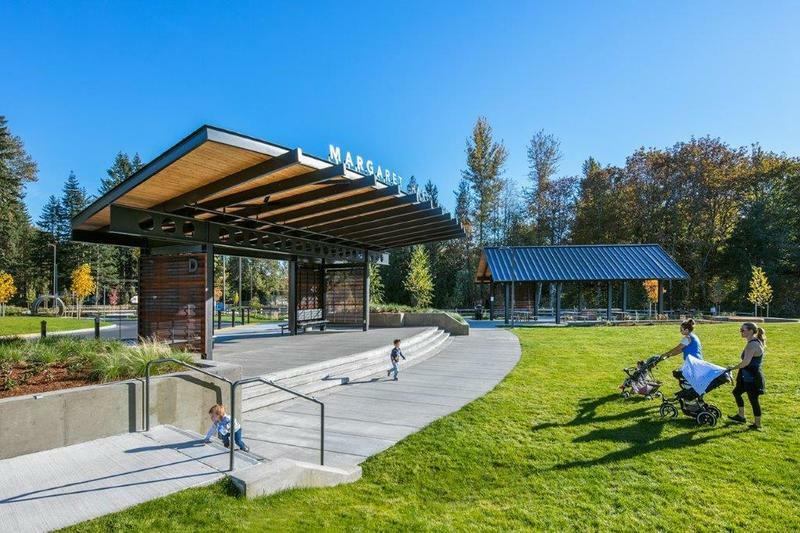 The master plan for this large city park provided for a broad range of public uses including sports, nature walks, public gathering, teens, and performances. 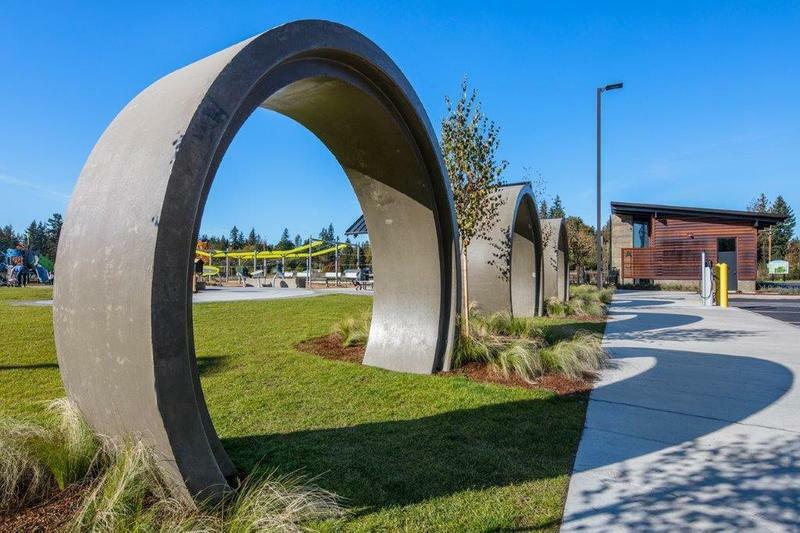 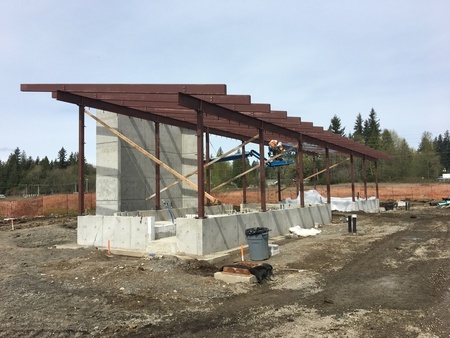 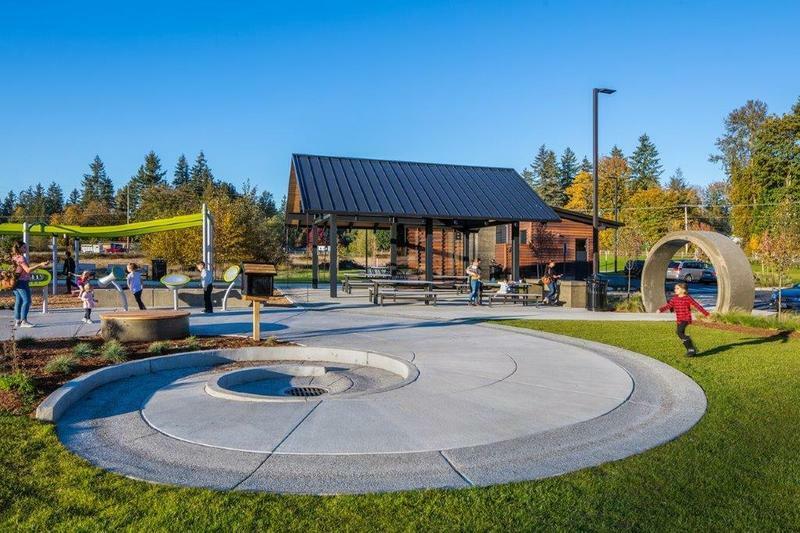 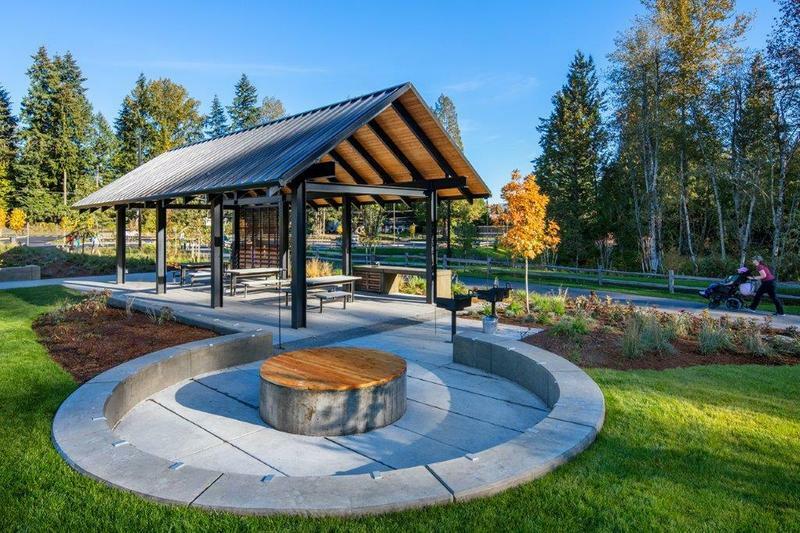 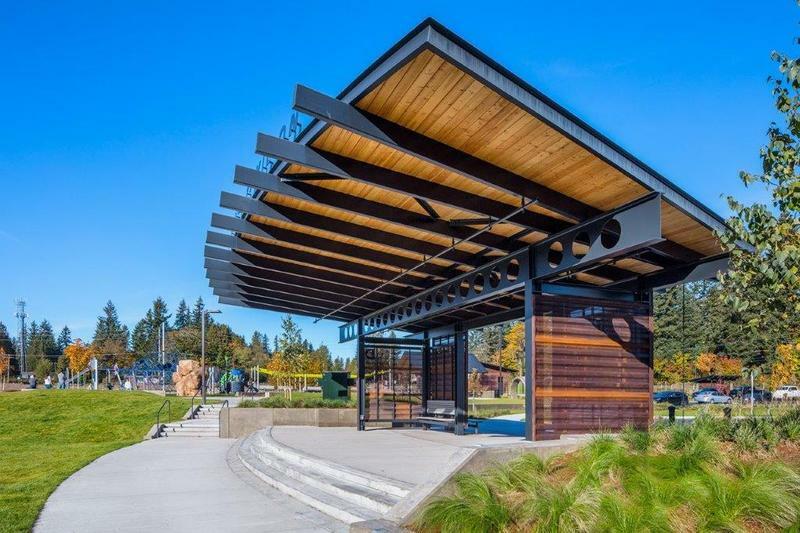 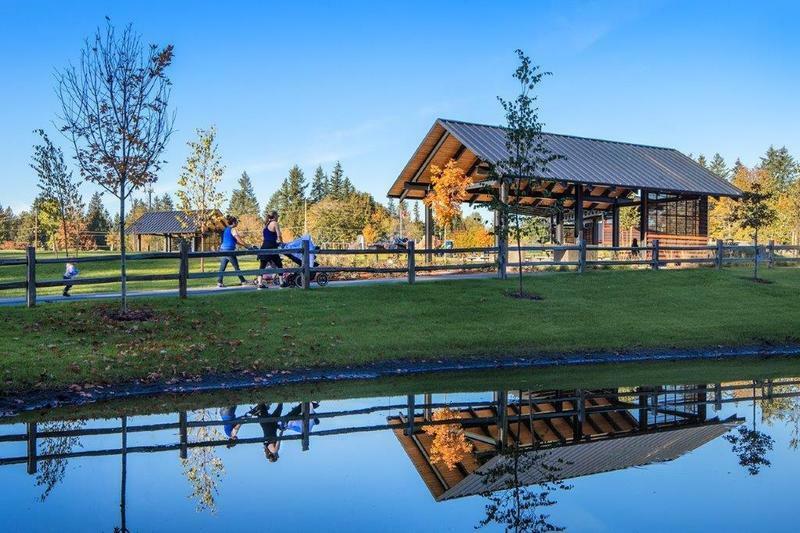 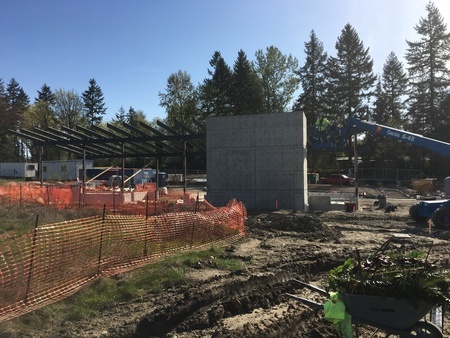 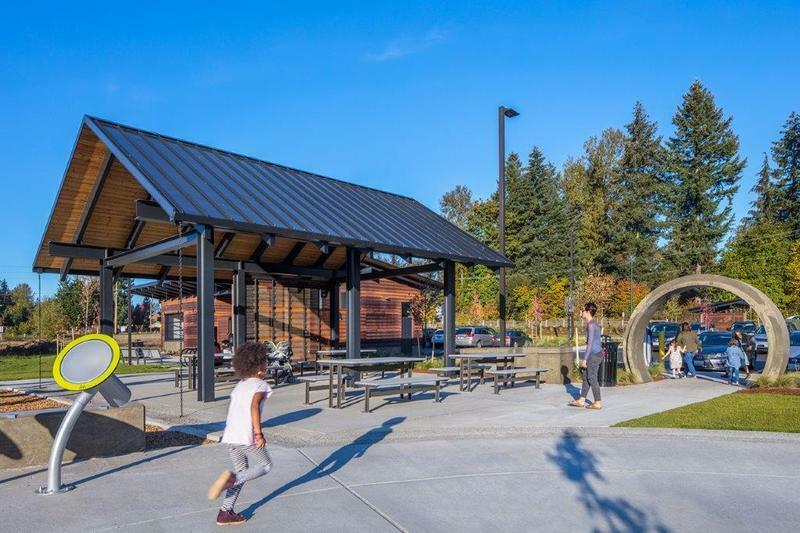 ARC worked closely with the Owner and Landscape Architect to develop a clear building character that could be applied to multiple structures throughout the site, including; an entry pavilion, a large picnic shelter, two small picnic shelters, a concessions and convenience building, and a trash enclosure. 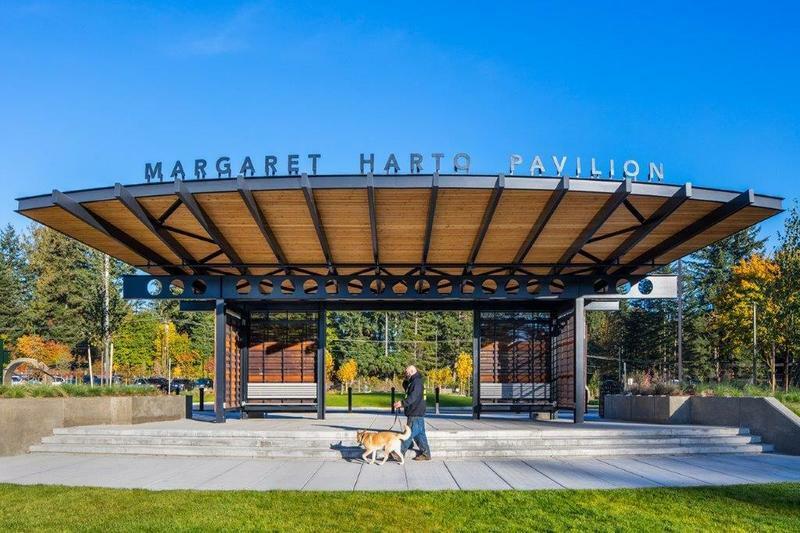 Continuity of exposed structure, roof form, materiality, detailing and color give the buildings a unified identity that adds to the cohesiveness of the park. 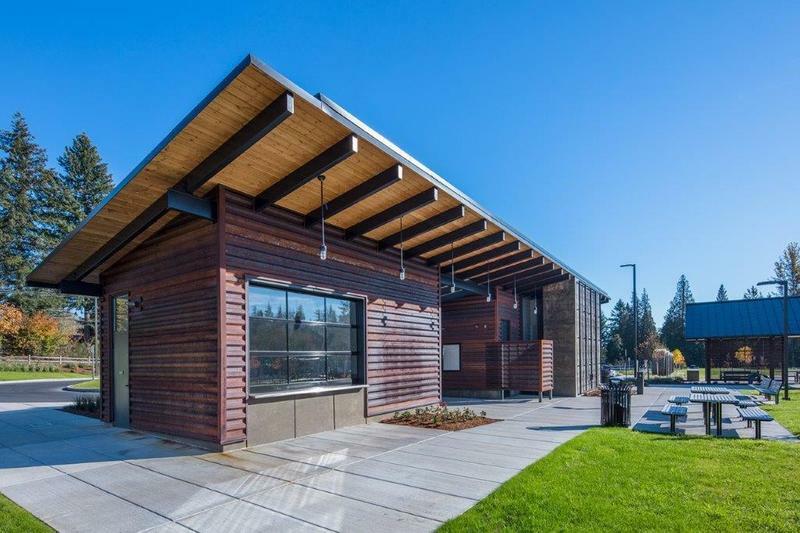 Sustainable design features include a garden roof, ventilation and natural daylight. 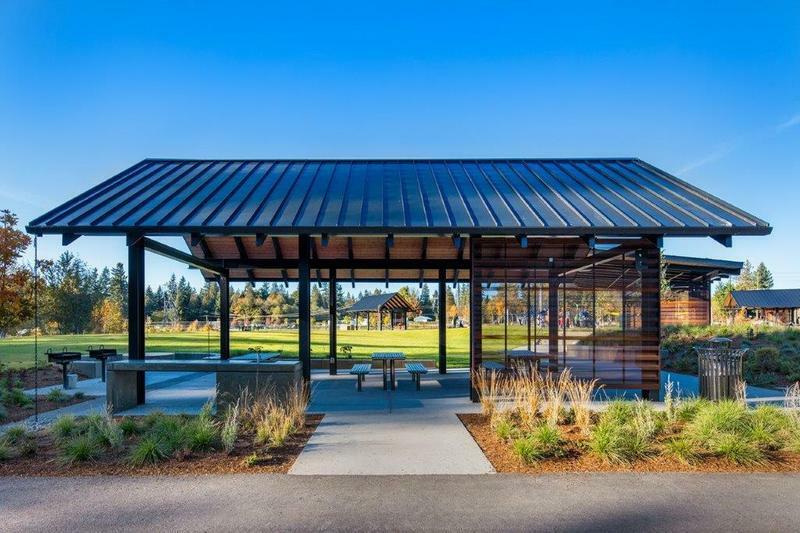 The protocols of Crime Prevention Through Environmental Design guided design decisions including perforated screen walls at the shelters to ensure visibility and safety.